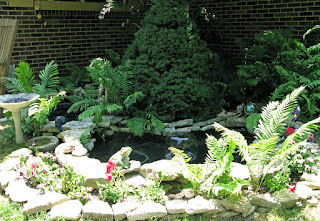 I want to share some pictures of our front yard pond. 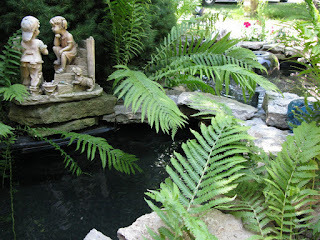 It consists of four ponds around an evergreen tree. The sound of the fountain and falling water invites me to sit on the benches or rocking chair and relax. 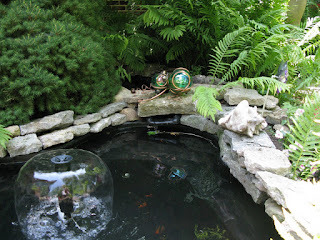 I have a few small fish in it and need some frogs. 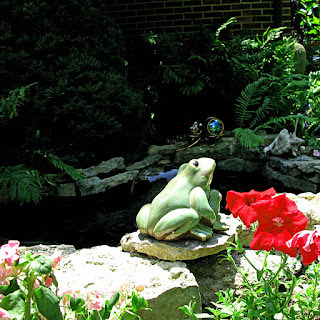 I only have frog statues for now. That is lovely; so calming and refreshing! I bet the sound of it sounds so nice in the mornings! Lovely pond! Nothing like a water feature for relaxation!